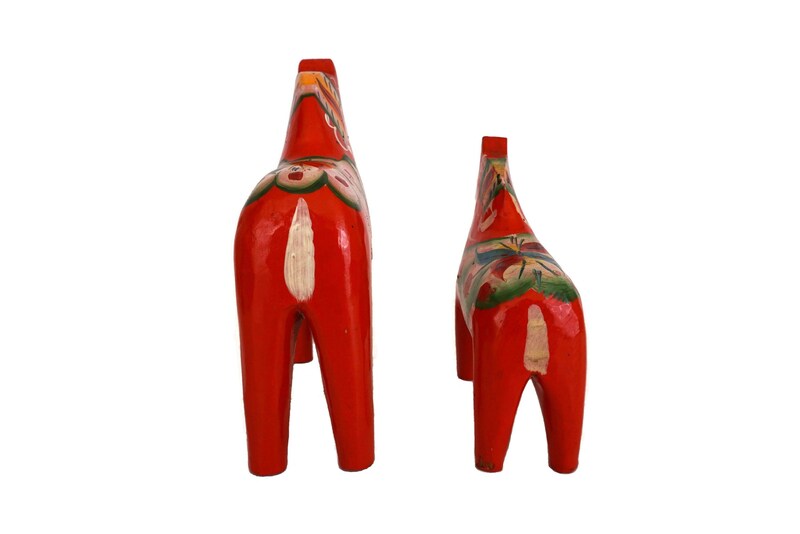 A lovely pair of vintage Swedish Dala horse figurines dating from the 1970s. 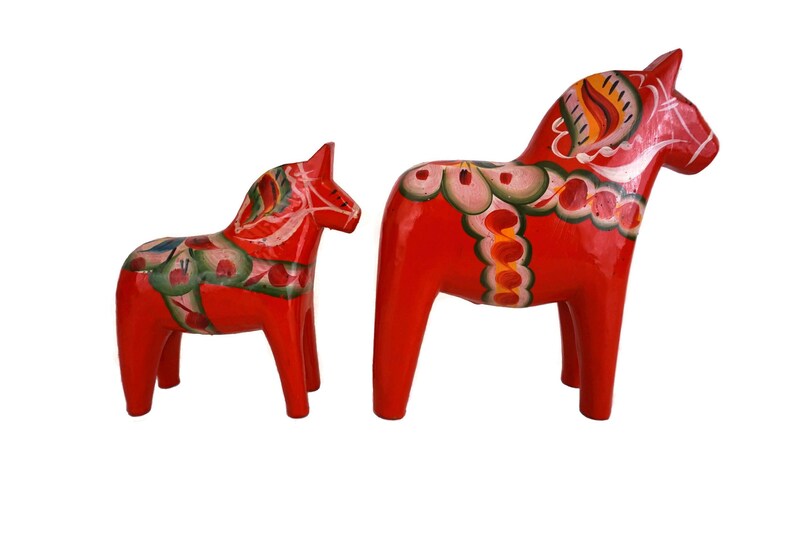 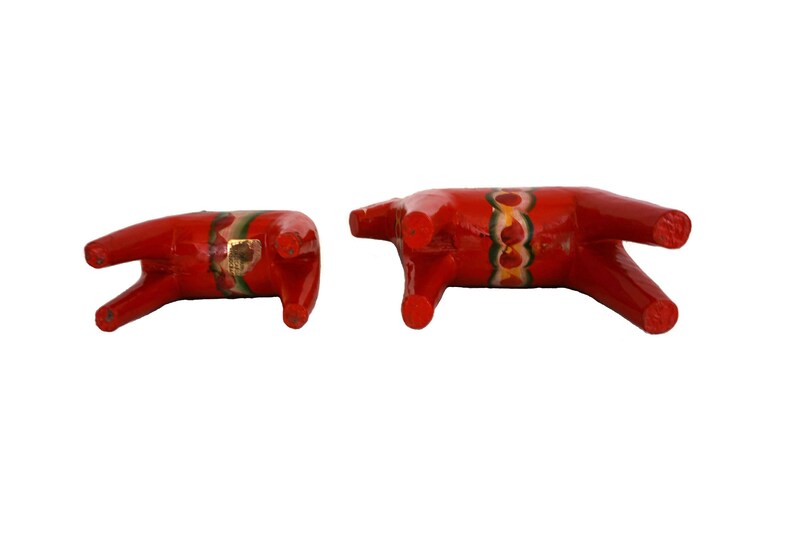 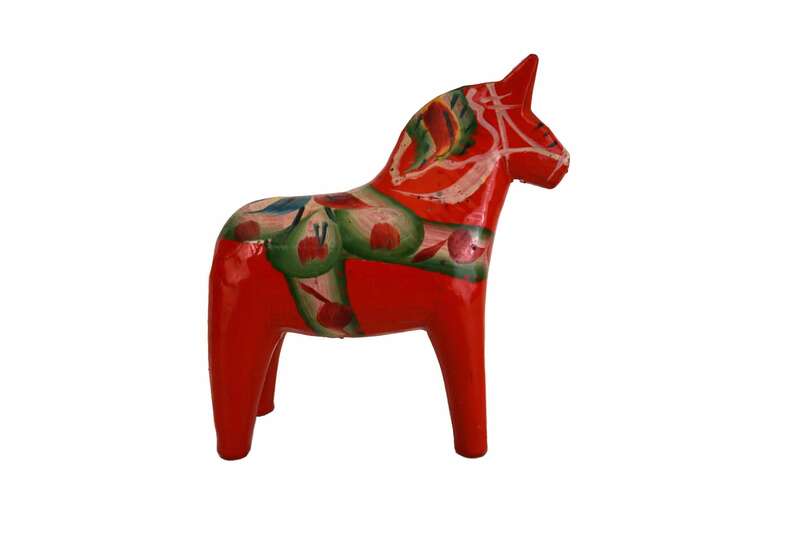 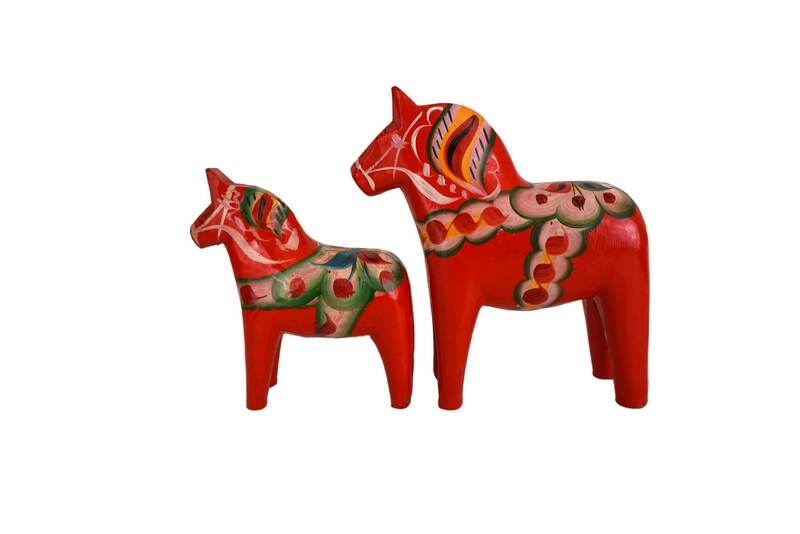 The two Dalecarlian horses have been stoutly carved from wood and hand painted in bright red with traditional folk art design in shades of green and white. 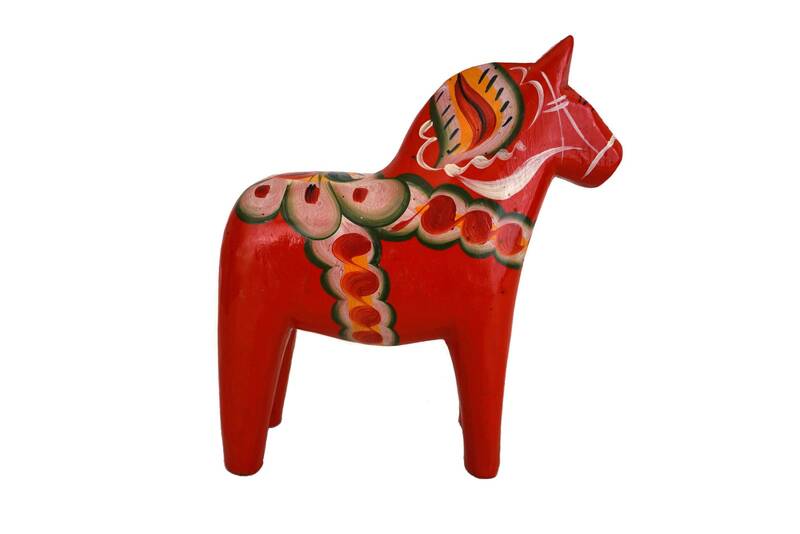 The smaller horse has part of its original ticket on the underside to confirm they are genuine Delicarlinan hand crafts. 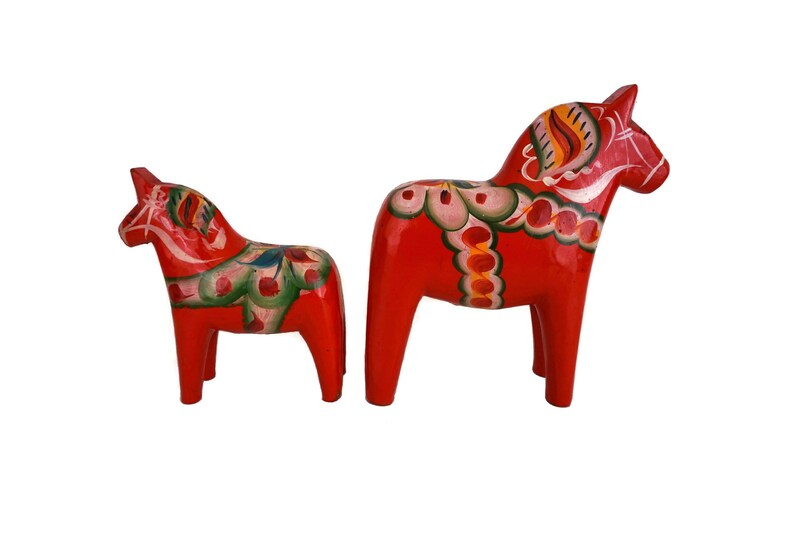 The pair will make a great addition to your Scandinavian decor. 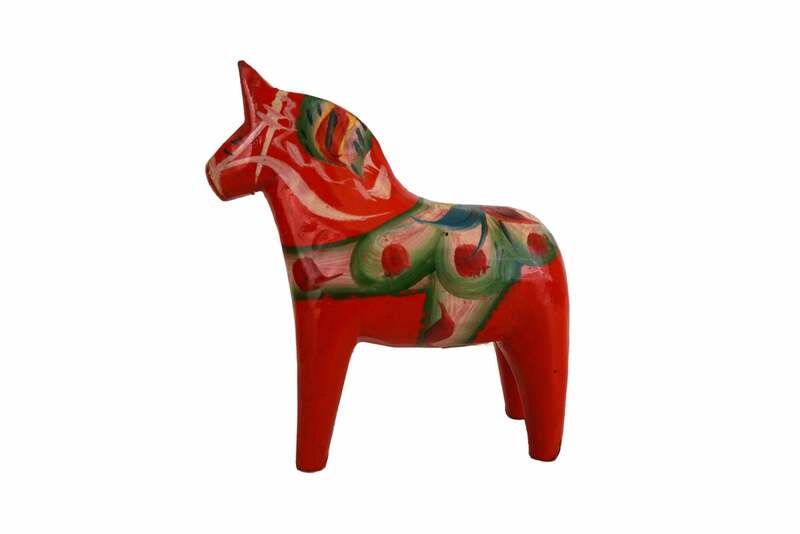 Large horse: 5" Tall x 4.5" Long x 1.5" Deep (13 cm x 11,5 cm x 4 cm). 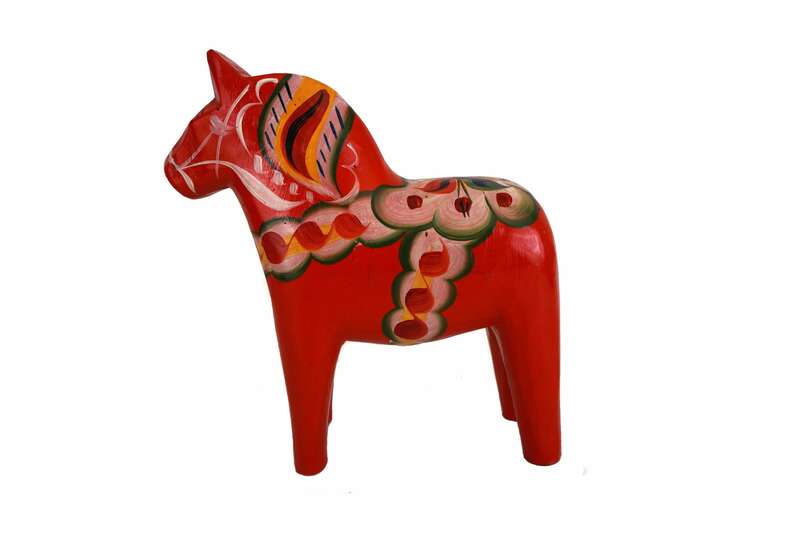 Small horse: 4" Tall x 3.5" Long x 1" Deep (10 cm x 9 cm x 2,5 cm). 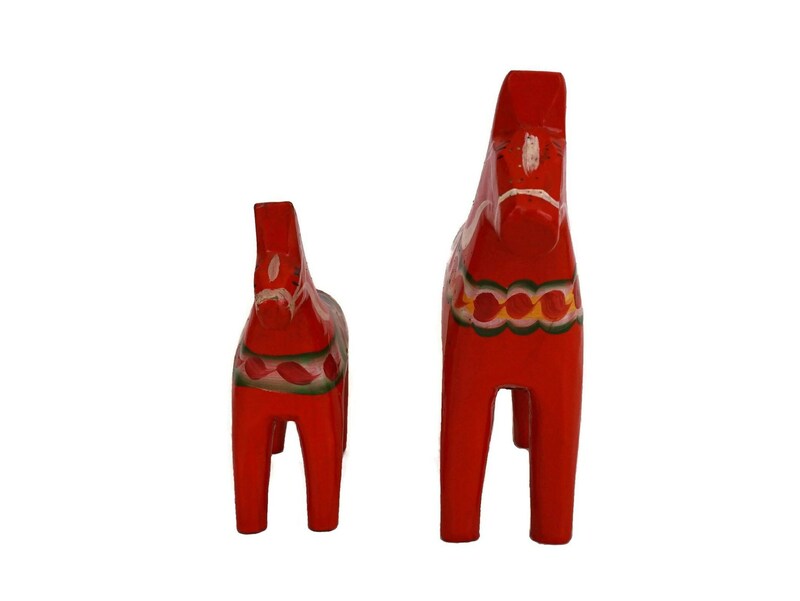 The pair of vintage wooden Swedish Dala horses are in very good condition with some light signs of age including light surface marks and small flakes to the paint in places.